We offer Same Day Dental Appointments Call Us Today. When your busy schedule or urgent dental concern simply cannot wait, Pure Dental Health can offer you same day dental appointments in Atlanta. We are a fresh and sophisticated dental practice that uses the latest in dental technology and technique to give our Atlanta patients the best dental experience possible. We have a staff of highly trained dentists and friendly dental support professionals that can give you the top quality comprehensive dental care you deserve, including services in general, restorative, cosmetic, sedation as well as implants dentistry to keep your smile health and attractive for years to come. As part of Pure Dental Health’s commitment to provide convenient and hassle-free dental care to Atlanta, we will make every effort to schedule your appointment in the very same day you call. 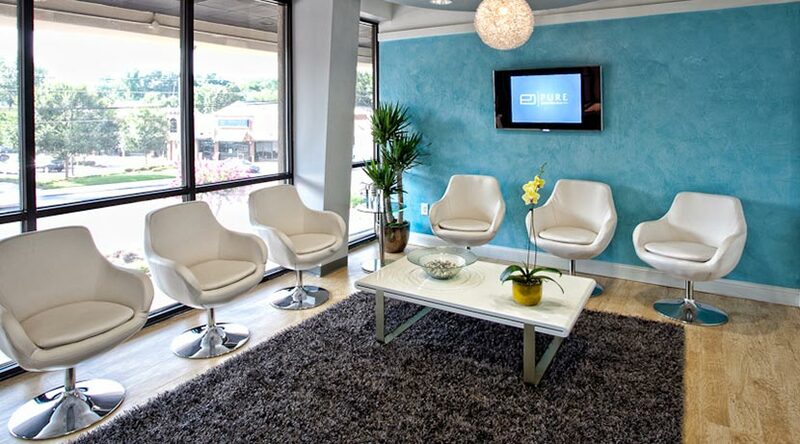 Pure Dental Health is where Buckhead residents turn to for excellence in same day dentistry. We have extended weekday hours as well as Saturday hours to ensure we are offering the most convenient and flexible times for you to receive the dental care you need. You will find a unique and positive dental experience when you choose Pure Dental Health, complete with luxurious patient amenities, advanced sedation dentistry and flexible same day scheduling. Whether you have a dental emergency that needs prompt treatment or your hectic schedule demands a same day cleaning appointment, we are happy to work with you to give your smile the attention it deserves in the timeframe you need. We Can Probably See You Today! Our dentists at Pure Dental Health put patients first. We take the time to get to know each and every one of our patients so that we can provide personalized dental care to meet your individual needs. Our goal is for you to have an enjoyable, positive patient experience whether you come in for a routine dental cleaning and check-up or a major dental procedure. Contact Pure Dental Health and let us know your dental needs, we can likely see you today! Please understand that we strive to help each and every patient that comes into our office. Most dental offices DO NOT offer same-day services (due to scheduling and logistical challenges). We are committed to helping you the same day whenever possible, but want to set the right expectations up front. Being able to see and treat you on the same day depends upon the time that you contact and come in, how complicated your situation is, and other factors. Because others also have Same Day Appointments, our general time scheduling rule is first-come, first-serve. And most of the time, we can see you relatively soon. But there are times, based upon working you into an already full schedule, when you may have to wait a while. Our Same Day Appointment guarantee is that if you arrive before noon, we will provide same-day dental care. That said, there are situations where you won’t be able to get to the office by noon. In that case, we will still strive to meet and treat you same day (we just can’t guarantee it, particularly if you show up past 4pm). We have even had examples where patients have come in late on a Friday night (when we are the only office that is open), and in many of those cases were able to provide complete care that night. But there are times that patients have had to wait many hours. If you come in late in the afternoon, please be understanding that there are limitations to accomplishing this goal. At the very least, we should be able to take an Xray and and give you pain medication and antibiotics if needed. We do not, however, prescribe narcotics without a financial commitment towards recommended treatment. The best course of action is to call in to our front desk and ask about the day’s schedule. Your dental condition and appropriate treatment will also determine whether we’ll be able to help same day. Some procedures require a surgeon. If a surgeon is not here that day, then you’ll need to get antibiotics and prescriptions and come back on a day the surgeon is available. Patients with complicated medical history like uncontrolled blood pressure or diabetes may require a medical release and can’t be treated the same day. Also, patients requiring lab work from procedures such as dentures or partials will not be able to be treated on the same day as lab work will need to be sent away. Any procedures outside of our ability to treat at that time. While all of our doctors have general dentistry training (which can treat most urgent cases), doctors have different skill levels. Some of our providers are trained for extremely complex dental surgery. However, those doctors are not always readily available at the office. Also, while we’re able to start some procedures on the same day, they may take multiple appointments to finish. For example, implants typically involve multiple steps. Then there’s sedation. In order to be sedated you cannot have food or drink 6 hours prior to your appointment and you must have a ride arranged. If you are fearful, nervous, or require more advanced dental surgery (like wisdom teeth removal), then you most likely require sedation. So if you hope to have same-day dentistry performed under sedation, then you need to arrive as early as possible (ideally before 12), on an empty stomach (no food or water beforehand as the sedation may cause you to throw up), and with a ride ready. Also, make sure a dentist trained in IV sedation is available in that day by calling our office.